Puckett hopes her new business will help the community by creating opportunities for families to have their own home. 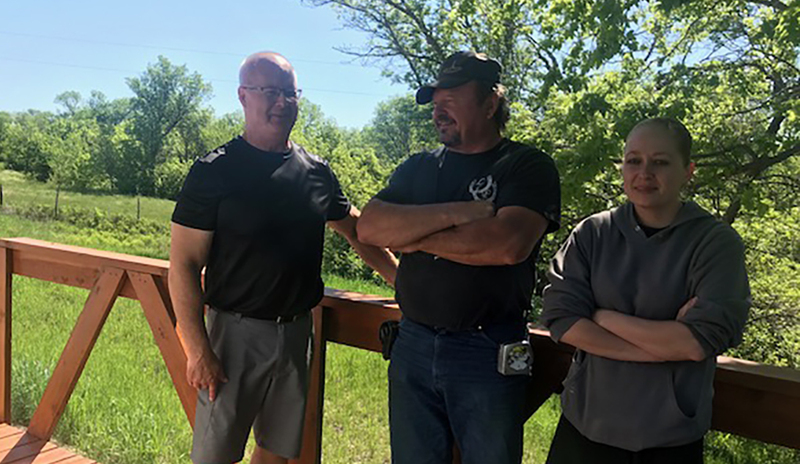 “Lakota Cabins is contributing to the regional effort to increase homeownership opportunities for our local families,” says Tawney Brunsch, Executive Director of Lakota Funds. Lakota Funds provided start-up financing for the new business. The homes will be sold at a price that local families can manage, and the energy efficient design means there will be lower utility costs. In addition, the business is supporting two full-time jobs and a summer internship position. Lakota Cabins has partnered with seasoned local contractor, Medicine Root Development, to build the homes off-site in their construction yard. Once completed, the homes will be transported and placed on the owner’s land. The construction process is similar to manufactured and modular homes. “These homes are better than trailers. They will last a lifetime,” Puckett says. Lakota Cabins is working with local lenders and homeownership programs to help families obtain financing. Anyone interested in learning more about Lakota Cabins can take a look at their display model at Lakota Prairie Ranch & Resort in Kyle.